Bubby is a pastille coloured, tie-dyed rabbit with large, glittery pink button eyes and a pink button nose with an embroidered smile. She has a white belly and the inside of her ears are white with multicoloured polka dots. Bubby was released in December 2016. 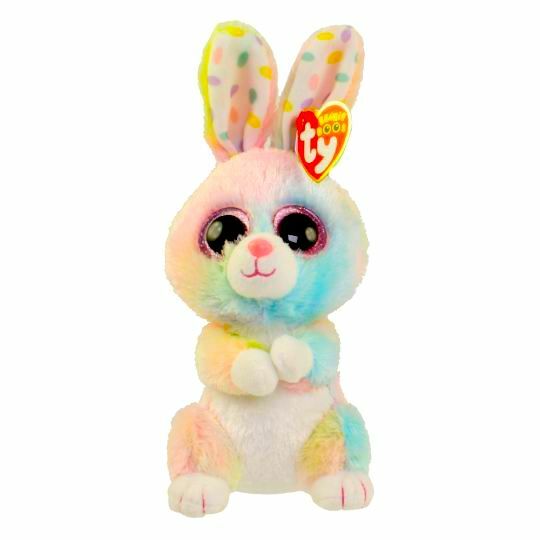 Bubby is available in this 6″ version, as a larger 9″ Beanie Boo Buddy and as a key clip.